TOP 1 Forever Gift Vouchers are the perfect present for food and drink lovers. Your present will never be forgotten! 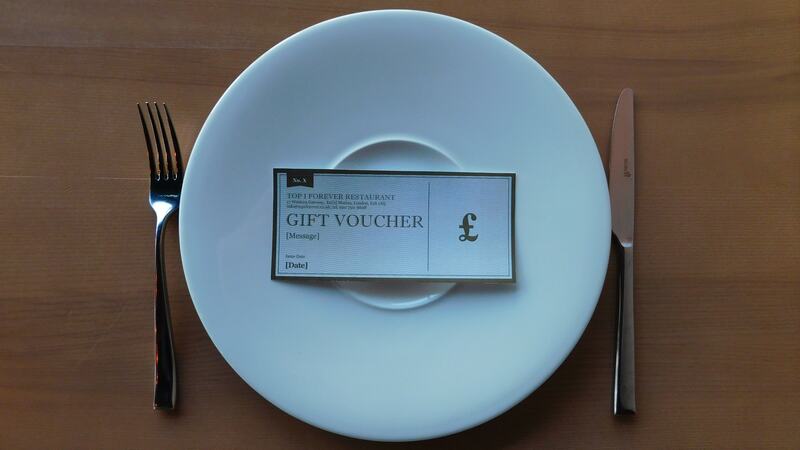 Vouchers can be bought at our restaurant or if you wish, they can be sent by post within 3 working days to your allocated address. Vouchers can be send to your friends choosing the design of the card. Just visit the link bellow to buy it.